If you have a tooth that is damaged or decayed, but still intact, a dental crown may be right for you. If your tooth is missing, but its former position is surrounded by other tooth structures, a bridge may be the solution for you. Schedule an office consultation with Drs. Lewis and David Morrison to determine whether you could benefit from crowns or bridges. If you are a candidate for a crown or bridge, your teeth will be reduced to ensure a proper fit. An impression will then be taken of your bite and used to fabricate a mold for the crown or bridge. If you are choosing porcelain prosthesis, its color will be matched to the natural shade of your other teeth. 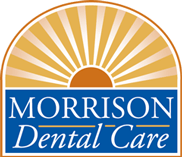 If a dental lab is making your crown or bridge, Morrison Dental Care will fit you with a temporary restoration until the permanent one is ready for placement.